For photographers looking to explore the use of drones for aerial photography, the Phantom 4 is an excellent choice. DJI’s fourth iteration of its consumer-facing drone is packed with impressive features and comes at a relatively low price. The drone’s 3-axis stabilization and new advanced stereo Vision Positioning System (VPS) allow the Phantom 4 to virtually hover in place, which makes the drone easier to fly. It also aids in capturing precise images and amazingly smooth video. The camera and video capabilities are similar to the Phantom 3. The latest model captures 4K video at 30 frames per second and Full HD 1080p at 120 frames per second for smooth slow motion. DJI also added an aspherical lens with a 94° field of view (FOV), which DJI says reduces distortion by 36 percent and chromatic aberration by 56 percent when compared to a Phantom 3. DJI also improved the drone’s battery life. The Phantom 4 can fly for 28 minutes, an increase in effective flight time of 25 percent from the Phantom 3 Professional. While first-time drone users will need a few hours of practice, the Phantom 4 is extremely easy to use. New features also make it easier to operate. For instance, ActiveTrack enable the Phantom 4 to recognize your subjects, follow them naturally, and keep them in the frame. The Phantom 4 also come equipped with active Obstacle Avoidance that allows it to react to and avoid obstacles in its path. The obstacle-avoidance system is great; however, it’s not foolproof. The Phantom 4 can only detect objects that are in front of it, so operators should not get a false sense of security. There are still plenty of ways to crash. Phantom 4’s Sport mode is also a cool new edition to the Phantom series. When activated, the drone can reach 45mph. It can also ascend at 20 feet per second and descend at 13 feet per second. The new feature allows operators to quickly navigate the drone into position. However, novice operators should be careful because it is a little too easy to get carried away with “drone racing.” Also, keep in mind that obstacle avoidance is not available in Sport mode. 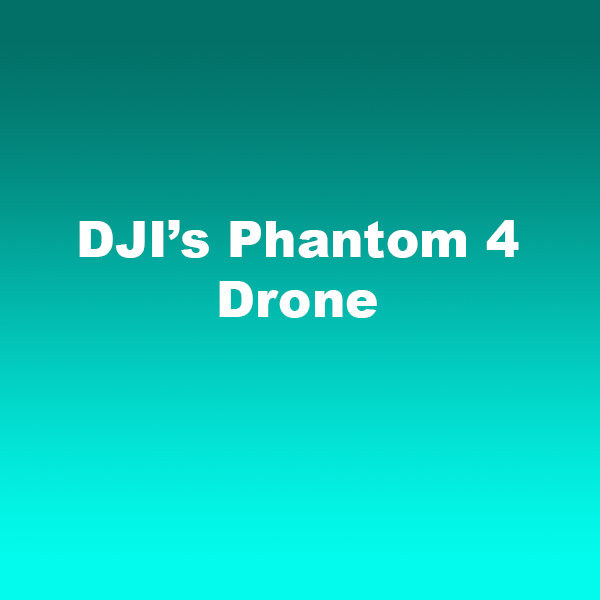 The Phantom 4 is available directly through DJI, as well as online retailers like Amazon.com. It is currently selling for $1,199.00. DJI is currently offering free same-day delivery, expert setup, and one hour of flight training in select U.S. markets.